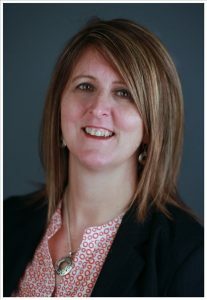 Jennifer Williams was appointed President of Newfoundland and Labrador Hydro in February 2019. Most recently Jennifer served as Vice President, Production with Hydro, a position she held since August 2016. Prior to that time she held the positions of General Manager, Hydro Production, as well as Manager, Regulatory Engineering. Jennifer joined Hydro in 2014 and had previously worked with both Newfoundland Power and the St. John’s international Airport Authority following graduation from Memorial University of Newfoundland with a Bachelor of Civil Engineering. Jennifer is a member of the Professional Engineers and Geoscientists of Newfoundland and Labrador, where she has been an active volunteer in many different capacities, including as a previous member of the Board of Directors of PEGNL. Jennifer was awarded the Fellow of Engineers Canada in 2016. Dawn Dalley was appointed Vice President, Regulatory Affairs and Corporate Services with Newfoundland and Labrador Hydro in August 2016. Since February of 2016 she held the position of VP Regulatory Affairs and Customer Services. 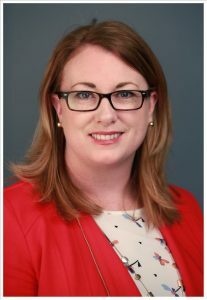 Prior to that time, she held the role of Vice President, Corporate Relations at Nalcor Energy since 2011, moving from her role as Manager, Corporate Communications and Shareholder Relations. Dawn has a Bachelor of Public Relations and a Masters of Business Administration. In 2004, she received her accreditation from the International Association of Business Communicators and was the IABC NL Communicator of the Year in 2010. She is a volunteer Board Member with Ronald McDonald House Newfoundland and Labrador and the Manuels River Heritage Society. Dawn is also Chair of the International Women’s Forum NL sub-chapter. Terry Gardiner was named Vice President of Engineering Services in August 2016. Terry has more than 28 years of experience with Newfoundland and Labrador Hydro. He has progressed throughout his career in Hydro; joining the company as a Transmission Design Engineer and eventually moving to Engineering Manager, with a continued focus on Transmission. Terry is a graduate of Memorial University (Bachelor of Engineering, Civil), and is a registered professional engineer of with the Association of Professional Engineers and Geoscientists of Newfoundland and Labrador (PEG-NL). Terry is an active volunteer member of both his professional association and community. He currently serves as the Vice Chair of the Registration Committee and Chair of the Experience Review Committee (ERC) for PEG-NL , as well he is the Vice Chair of the Holy Trinity Finance Committee. Lisa joined Hydro as Vice President, Financial Services in January 2017. Lisa is a Chartered Professional Accountant with 20 years of senior financial and leadership experience. 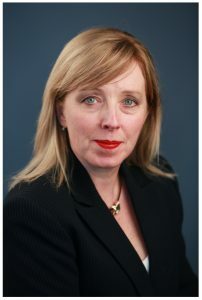 Most recently Lisa has been in the roles of Secretary-Treasurer and CEO of Petroleum Research Newfoundland and Labrador and Vice-President Finance and Chief Financial Officer of Newfoundland Power. In these senior roles Lisa has lead corporate strategy development as well as a broad range of finance and administrative functional areas. Lisa has a demonstrated ability in facilitating and managing change, industry leadership, utilizing financial information and technology to improve business results, and effectively communicating with employees, stakeholders and business partners. Lisa will continue to help Hydro focus on building an operational culture focused on appropriate cost management. Ron joined Hydro as Vice President, Transmission & Distribution and NLSO in April 2017. Ron is a Professional Engineer with 30 years of experience in the electric utility industry. He began his career with Nova Scotia Power as a new graduate, then in 1990 took on a position with Maritime Electric in Prince Edward Island where he worked until joining Hydro. During his tenure at Maritime Electric, Ron held various positions within the Company with his last position being Manager, Production and Energy Supply. Ron is a graduate of the Technical University of Nova Scotia (now Dalhousie University) (Bachelor of Engineering, Electrical). 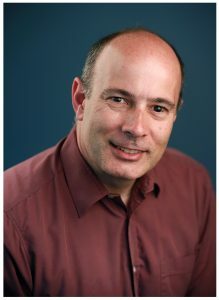 Ron is a member of Professional Engineers and Geoscientists of Newfoundland and Labrador (PEGNL). Ron has volunteered on the provincial level of the engineering association and continues to volunteer with Engineers Canada, where he has held the position of President of Engineers PEI and was on the Executive of the Board of Directors of Engineers Canada. Geoff was appointed Corporate Secretary and General Counsel in September of 2016. After two years in private practice, Geoff started with Hydro in 1989 as Legal Counsel and later served as Senior Legal Counsel. 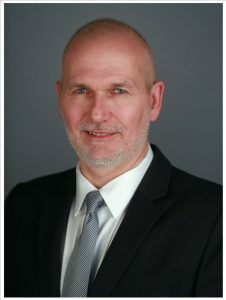 Geoff has represented the company before the Public Utilities Board and before all levels of courts in the Province throughout his career with Hydro. 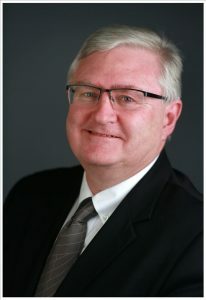 He has been a member of the Law Society of Newfoundland and Labrador and the Canadian Bar Association since 1986 and was called to the Bar in 1987. He has a B.A. (Memorial University) and an LL.B (Dalhousie University). Geoff is a past board member of Junior Achievement and of the Caribou Legion Manor, a non-profit organization and residence for veterans and seniors.